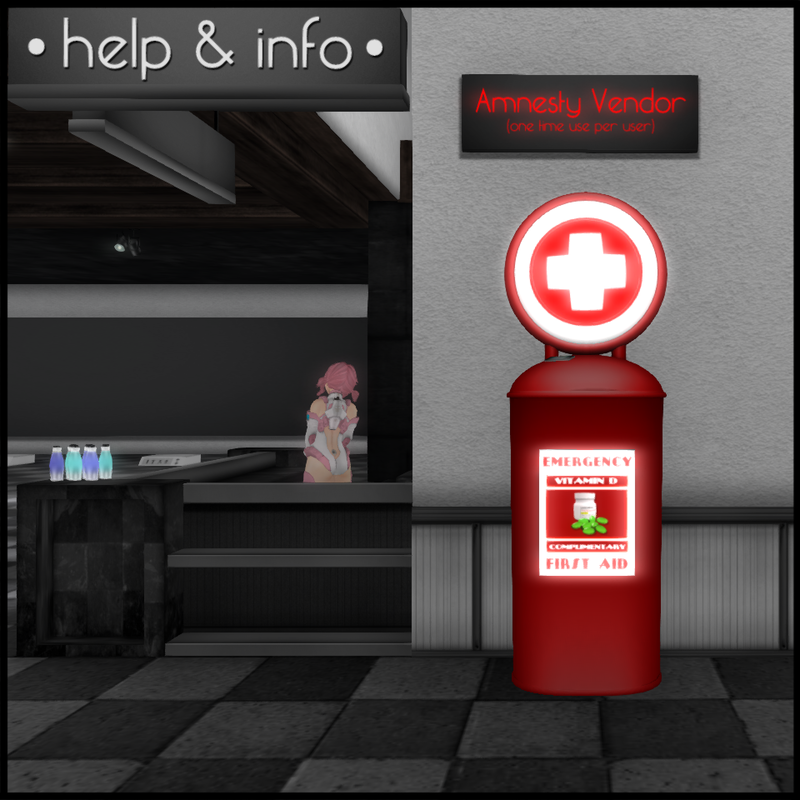 As some of you may be aware we offer an amnesty vender in our main shop next to the help and info counter by the pharmacy. This vendor in the past would give any user of milkmade who had been in the system for more than 30 days a 5L carton of milk, or if they were hypo would cure them. You could get either option and you could do it once. This was meant to give users one “get of our jail free card” should life or other circumstances prevent them from drinking the milk needed to stay healthy. If something happened in RL that kept you away from SL for too long we did not want a user to have to buy the vitamin D or drink 10L of milk to get back to playing again because of something out of their control. It originally gave out the cartons as well because we wanted to have something to offer our users who did not go hypo since we were offering something to those that did. However as you can never tell when something will require an extended and unexpected absence from SL we decided that the milk cartons were unnecessary. The vender should be used as a safety net rather than as a way to get a few liters of milk. We will no longer be offering the milk cartons and as we make this change we are resetting the amnesty vendor so that it is available to everyone again even those who have used it once before. Just as before you can only use it once, but we hope you won’t have to.